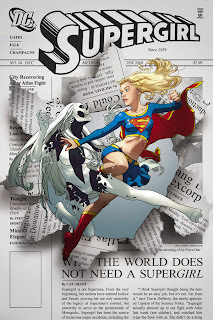 Beginning with with October's issue #34, Sterling Gates, Jamal Igle & Keith Champagne will become the new creative team on Supergirl. I can't wait! Hopefully with this team working on Kara, her personality will be fleshed out more, as well as giving her a decent supporting cast and her own enemies. Well that, and tighter integration with the other "Super" titles of course.